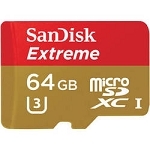 This memory card is ideal for recording High Definition and 4k video from small action cameras, including the GoPro Hero 3, 3+, 4 and 5, as well as 4k video from aerial photography drones such as the Phantom 3 and Yuneec Q500. 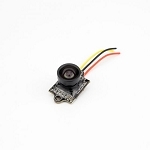 It can also be used to record Fatshark Dominator DVR footage. This card is now capable of roughly 90Mb/s read and 60Mb/s write data transfer speeds. 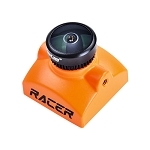 This write speed is fast enough for full functionality with GoPro Hero 3, 3+, 4 and 5 cameras, as well as many 4k camcorders on the market today. 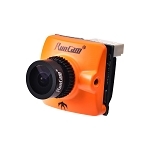 While this card can be used for standard definition DVR recording, such as with the Fatshark Dominator DVR, it's high write speed becomes unnecessary. We offer less expensive lower write speed 32Gb cards for such applications, which still have very fast read speeds. 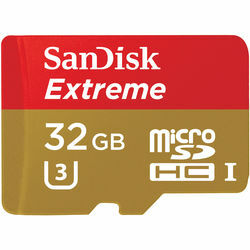 Includes a flat-style MicroSD-to-SD adapter.